Has it been a while since you were a student? Considering returning to study? We offer all the support you need to excel as a mature-age student (over 21 years of age). Find out more about applying as a mature-age student. a pathway to future education. 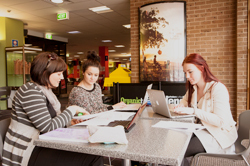 The Tertiary Enabling Program runs for eighteen weeks, covering four key subject areas that give you a strong foundation for tertiary study. This accredited subject develops your language and learning skills. It is an interdisciplinary, one-semester subject available in first or second semester. The subject counts for 15 credit points towards an undergraduate degree. Before enrolling, you should confirm with your Course Coordinator that the subject meets your course requirements.